That makes it cheaper than the OnePlus 6T, and the Black Shark 2 has a strong line-up of specs including a 6.39-inch 1080 x 2340 AMOLED display, new Snapdragon 855 chipset, dual 48MP + 12MP rear cameras, a 20MP selfie snapper and a 4,000mAh battery. 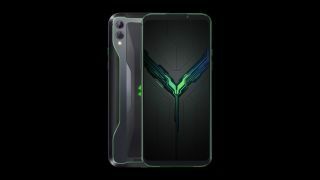 It means the Black Shark 2 comes well-equipped to handle pretty much any game you can throw at it, and you also get an illuminated, color-changing logo on the rear, similar to the pricier Razer Phone 2. The one real downside to the Black Shark 2 is its body. It's big and bulky at 163.6 x 75 x 8.8mm and tips the scales at 205g. In short, you'll notice its presence in your hand and pocket. There's an in-display fingerprint scanner too, and Black Shark says it has designed the screen to reduce flicker and latency while improving color accuracy. The handset also packs a liquid-cooling system to improve CPU and GPU performance over long gaming sessions. You'll have to wait for our Black Shark 2 review to find out if the specs translate into great performance. We found its predecessor - the original Black Shark - excelled when it came to gaming, but failed to impress in the more traditional smartphone areas. The Black Shark 2 gaming phone is available to buy now via the firm's website.